Hear what highway and town officials, environmental groups, and other customers have to say about Beaver Solutions. All customers volunteered to share their experiences. Since we installed the flow devices we have had absolutely no beaver activity. 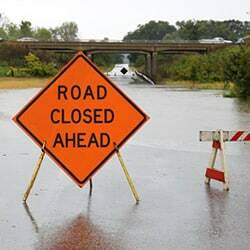 There has been no problem with flooding of the roads, and it has been very effective at keeping down the costs of labor for the Department of Public Works.” “This way is very effective, it’s very humane, and it saves towns a lot of money. We used to come out every single morning, two hours a day. Now we don’t. It [flow device] keeps us happy because the water still goes under the road and doesn’t wash it out. It saved us a lot of money. The flow devices control the water levels when we have storms so there is no crisis management here in Billerica. We have forty devices. Using the flow devices works a lot better than trapping out beaver. …able to prevent a crisis. Saved the City of Northampton a great deal of time and money. Thanks a bunch for your efforts here. Your creative solution seems to be working as planned! Thanks for the beaver solution! The water is way down. …very comforting considering the near emergency when beaver activity managed to top the [man made] dam. I wanted to tell you that I very much appreciated the customer friendly spirit and style of the way you do business, unusual features in today’s world for which you deserve to be commended. We want to express our appreciation for the work that you have done on controlling the beaver pond along the trail. Very successful! …complete satisfaction with everything you have done to make our leach field usable and to allow us to coexist with the beavers. Beavers and their blocking of a culvert threatened to wash out the road on which seven families live. Thank you so much. The system is working perfectly. 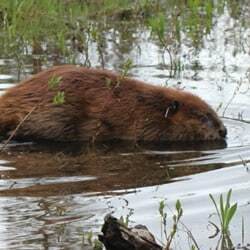 Your group’s solution of setting up a hidden system of pipes to draw down the water levels is not only a more humane way to solve the beaver dam ponding problem, but is also a more effective long term solution. Keep up the excellent work. Thank you for all you did for us. It was nice to do business with you. Thank you both for the peace of mind you gave us.